Do you have the impression that the anti-income-tax people are only high income fat cats? The Seattle Times emphasizes their donations and again. But take a closer look; look past the headlines. The unions are putting more money into the pro campaign than the high income people are. And little people are also putting their money into the anti-income-tax campaign. The support is a few groups, but the opposition is a lot of individuals. Here are the data on donations the defeat campaign found at the state Public Disclosure Commission. Shown at Defeat1098.com. "Defeat" has far more donors (above) and small donations, below. The public-employee unions are giving more money than the high-income people - over $1 million from Service Employees International Union and $100,000 each from the Washington Education Association and the Washington Federation of State Employees. Money from their members, of course. Washington Trails Association is the group of active hikers who help maintain trails and want to attract more. They have information about trails online. Washington Trails Association web site Wylie Slough on Fir Island in the Skagit Delta Lots of water fowl from autumn to spring, starring the snow geese, but avoid hunting season. Anacortes trails on Fidalgo Island Anacortes, as well as salt water all around, has 2,200 acres of forest area including numerous short hikes, there is something here for everybody. Families can take the short trail 20 to Whistle Lake, while others can plan a route to include several of the features of the area that include a summit with a view of Puget Sound, several lakes, and even a bog. 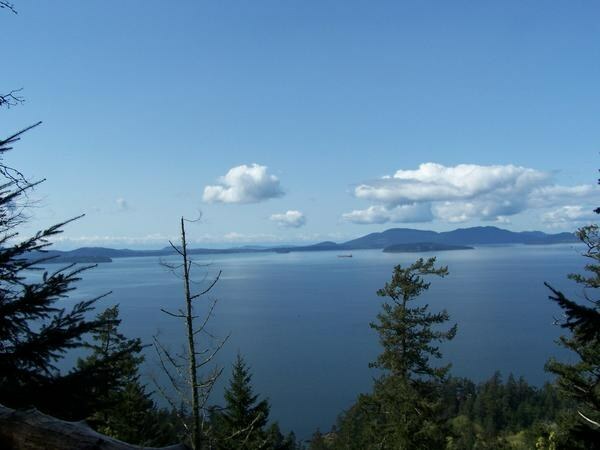 Chuckanut Drive just south of Bellingham Oyster Dome is high above the Chukanut sandstone north of Puget Sound. * * I am a purist on the location of Puget Sound. Its north end is Admiralty Inlet between Port Townsend and Admiralty Head in the Fort Casey/Ebey area of Whidbey Island. Attorney General Eric Holder has politicized our Justice Department beyond belief. Nothing is straight with the Chicago mob. Now he has been publicly embarrassed for the incompetence that his cross purposes have caused - among other thing. Wash Times The Justice Department's Civil Rights Division has lurched from multiple controversies into an outright embarrassment. In an order issued Sept. 16, U.S. District Judge John D. Batesof the District of Columbia gave Attorney General Eric H. Holder Jr.'s team the legal equivalent of a 2-by-4 across the head. The department's handling of a voting rights case from Shelby County, Ala., has been so slipshod as to invite questions of its legal competence across the board. Shelby County is challenging the constitutionality of the Voting Rights Act's Section 5, an increasingly problematic requirement that election jurisdictions in several states, mostly Southern, secure "pre-clearance" from Justice for any change in voting practices. This includes minor details such as moving a polling place from a school gym to its cafeteria. The county writes, "in the last 10 years, [it] has sought pre-clearance numerous times, expended significant taxpayer dollars, time and energy to meet its obligations under Section 5 of the VRA, and has had at least one election delayed in order to ensure compliance." In a 2009 decision in a case from Austin, Texas, the Supreme Court barely saved Section 5 by deciding the case on narrower grounds while expressing doubts about its constitutionality. The Alabama county in the current case wants to decide the question once and for all. The Justice Department loves Section 5 because it gives federal bureaucrats immense discretionary power. Last month, it dropped a Section 5 case against Georgia rather than risk having Section 5 declared unconstitutional. In the Alabama case, it tried to avoid questions over constitutionality by using diversionary arguments, which Judge Bates eviscerated as "fishing expeditions." On the department's request for evidentiary discovery, the judge wrote, "The parties have pointed to no authority, and the Court is unaware of any, that would support discovery under such circumstances." Rejecting an argument by Justice, Judges Bates wrote in the county's favor that "a contrary conclusion would be absurd." The Heritage Foundation's Hans von Spakovsky and Roger Clegg of the Center for Equal Opportunity observed, "The almost frivolous arguments raised by the Holder Justice Department to delay this case are just another example of how badly (and unprofessionally) that department is being run." Indeed, a competent Justice Department wouldn't get slapped down so definitively. In ordering Shelby County's case forward, Judge Bates served notice that the law takes precedence over raw assertions of privileged federal authority. Hospitals don't have basic medical supplies. [TheRealCuba] The streets are a museum of cars from the 1950s. Cuba doesn't work. Now Fidel Castro, the father of all Cubans, says so. Fidel tried to back off from his own words. But reporter Jeffrey Goldberg sticks by his report - that he quoted Fidel accurately and in context. 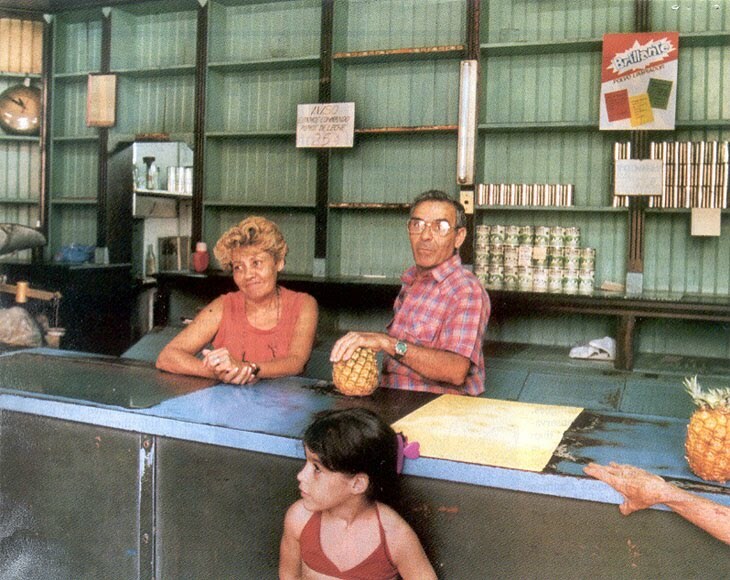 Jeffrey Goldberg, a correspondent for the Atlantic Monthly magazine, said Castro, 84, had made similar statements before and that economic changes under way on the communist-led island made it "a truism that the Cuban model isn't working." The photo: Empty shelves at a grocery store in Cuba. Barone is shook up... HHS Secretary Sibelius will not allow insurers to say anything negative. And she has a big stick. This is Gangster government. Townhall "There will be zero tolerance for this type of misinformation and unjustified rate increases." That sounds like a stern headmistress dressing down some sophomores who have been misbehaving. But it's actually from a letter sent Thursday from Health and Human Services Secretary Kathleen Sebelius to Karen Ignagni, president of America's Health Insurance Plans -- the chief lobbyist for private health insurance companies. Sebelius objects to claims by health insurers that they are raising premiums because of increased costs imposed by the Obamacare law passed by Congress last March. She acknowledges that many of the law's "key protections" take effect later this month and does not deny that these impose additional costs on insurers. But she says that "according to our analysis and those of some industry and academic experts, any potential premium impact ... will be minimal." Well, that's reassuring. Er, except that if that's the conclusion of "some" industry and academic experts, it's presumably not the conclusion of all industry and academic experts, or the secretary would have said so. Sebelius also argues that "any premium increases will be moderated by out-of-pocket savings resulting from the law." But she's pretty vague about the numbers -- "up to $1 billion in 2013." Anyone who watches TV ads knows that "up to" can mean zero. As Time magazine's Karen Pickert points out, Sebelius ignores the fact that individual insurance plans cover different types of populations. So that government and "some" industry and academic experts think the new law will justify increases averaging 1 percent or 2 percent, they could justify much larger increases for certain plans. Or as Ignagni, the recipient of the letter, says, "It's a basic law of economics that additional benefits incur additional costs." But Sebelius has "zero tolerance" for that kind of thing. She promises to issue regulations to require "state or federal review of all potentially unreasonable rate increases" (which would presumably mean all rate increases). And there's a threat. "We will also keep track of insurers with a record of unjustified rate increases: those plans may be excluded from health insurance Exchanges in 2014." That's a significant date, the first year in which state insurance exchanges are slated to get a monopoly on the issuance of individual health insurance policies. Sebelius is threatening to put health insurers out of business in a substantial portion of the market if they state that Obamacare is boosting their costs. "Congress shall make no law," reads the First Amendment, "abridging the freedom of speech, or of the press." The President promised and the President did not deliver. They really think they are different. You and I work and pay taxes. They ride free who work in our federal government. LA Times Top of the Ticket blog Over the years a lot of suspicion has built up across the country about Washington and its population of opportunistic transients coming to see themselves as a special kind of person, somehow above average working Americans who don't labor down in that monument-strewn former swamp. Well, finally, an end to all those undocumented doubts. Thanks to some diligent digging by the Washington Post, those suspicions can at last be put to rest. They're correct. Accurate. Dead-on. Laser-guided. On target. Bingo-bango. As clear as it's always seemed to those Americans who don't feel special entitlements and do meet their government obligations. We now know that federal employees across the nation owe fully $1 billion in back taxes to the Internal Revenue Service. As in, 1,000 times one million dollars. All this political jabber about giving middle-class ... ... Americans a tax cut. Thousands of feds have been giving themselves one all along -- unofficially. And these tax scofflaws include more than three dozen folks who work for the president with that newly decorated Oval Office. The Post's T.W. Farnum did some research and found that out of the total sum, just 638 workers on Capitol Hill owe the IRS $9.3 million in back taxes. As in, overdue. The IRS gets stiffed by the legislative body that controls its budget. How Washington works. Now, back taxes have been a problem for the Obama-Biden administration. You may recall early on that Tom Daschle was the president's top pick to run the Health and Human Services Department. But it turned out the former Democratic senator, who was un-elected from South Dakota in 2004, owed something like $120,000 to the IRS for things from his subsequent benefactor that he just forgot to pay taxes on. You know how that is. $120G's here or there. So he dropped out. And then we learned this guy Timothy Geithner owed something like $42,000 in back taxes and penalties to the IRS, which is one of the agencies that he'd be in charge of as secretary of the Treasury. The fine fellow who's supposed to know about handling everyone else's money. In the end this was excused by Washington's bipartisan CYA culture as one of those inadvertent accidental oversights that somehow never seem to happen on the side of paying too much taxes. And under Geithner's expert guidance the U.S. economy has been, well, wow! Just look at it. Privacy laws prevent release of individual tax delinquents' names. But we do know that as of the end of 2009, 41 people inside Obama's very own White House owe the government they're allegedly running a total of $831,055 in back taxes. That would cover a lot of special chocolate desserts in the White House Mess. In the House of Representatives, 421 people owe a total $6,524,892. In the Senate, 217 owe $2,774,836. In the IRS' parent department, Treasury, 1,204 owe $7,670,814. At the Labor Department, where Secretary Hilda Solis' husband had some back-tax problems before her confirmation, 463 owe $7,481,463. Eighty-one workers for the Federal Reserve System's board of governors owe $1,076,733. Over at the Justice Department, which is so busy enforcing other laws and suing Arizona, 1,971 employees still owe $14,350,152 in overdue taxes. Then, we come to the Department of Homeland Security, which is run by Janet Napolitano, the former governor of Arizona who preferred to call terrorist acts "man-caused disasters." Homeland Security is keeping all of us safe by ensuring that a Dutch tourist is aboard every inbound international flight to thwart any would-be bomber with explosives in his underpants. Within that department, there reside 4,856 people who owe the tax agency a whopping total of $37,012,174. And they're checking our pockets for metal and coins? Our beloved MOHAI, the museum of Seattle history, has to move - and wants to. Mohai needs every dollar it can get to pull it off. Seattle Mayor McGinn announced he opposes $7 million agreed to by the city parks commissioner. I can see McGinn's side, but I hope the money is approved. The $7 mil was agreed to while things were/are moving - less money from the Feds, more money from the State, etc. Some are portraying this as reneging on an agreement, but the parks commissioner can't commit the city's funds and didn't. It requires a vote of the city council. Money is tight, but I hope it's approved. Congress caused a factory to close this month and the jobs to go overseas. GE has a factory in Winchester, VA, that makes incandescent light bulbs. Does until the end of September. Then it will close due to an act of Congress and 200 people will see their jobs shipped overseas. In 2007 Congress made the big decision for you*. Instead of each of us making the decision to save money by consuming less electricity for lighting, Big Brother took away our choice. They outlawed the incandescent light bulb invented by Thomas Edison in the 1870s. Now we all have to buy the CFL bulbs that are all made overseas or find another alternative. And CFLs are hazardous; they contain mercury, which is toxic. Keep them out of the house. No, can't - act of Congress. Ask candidates for Congress why sent these jobs overseas. And why they require us to use hazardous lighting in our homes. Washington Post * HR 6: Energy Independence and Security Act of 2007 Technicality: This law does not outlaw incandescent bulbs, but puts in place standards that don't allow their use. Critics say the campus' location poses a long-term health risk to students and staff. School district officials insist that the Arlington Heights property is clean and safe. And they've pledged to check vapor monitors and groundwater wells to make sure. [...] "Renaming this terribly contaminated school after famous environmental advocates is an affront to the great work that these individuals have done to protect the public's health from harm," an environmental coalition wrote in a letter to the Los Angeles Unified School District. Making sure the school is safe "would be an even better way to honor their contribution to society." Construction crews were working at the campus up to the Labor Day weekend, replacing toxic soil with clean fill. All told, workers removed dirt from two 3,800-square-foot plots to a depth of 45 feet, space enough to hold a four-story building. The soil had contained more than a dozen underground storage tanks serving light industrial businesses. Additional contamination may have come from the underground tanks of an adjacent gas station. A barrier will stretch 45 feet down from ground level to limit future possible fuel leakage. An oil well operates across the street, but officials said they've found no associated risks. Like many local campuses, this school also sits above an oil field, but no oil field-related methane has been detected. Groundwater about 45 feet below the surface remains contaminated but also poses no risk, officials said. ... ICE officials evaluated how the sheriff's office performed under a law that allows specially trained local law enforcement officers to enforce parts of federal immigration law. The Maricopa County Sheriff's Office, which is the largest sheriff's office in the Arizona, has 189 officers who have been trained by ICE to enforce federal immigration statutes. The report, crammed with acronyms and bureaucratese, is not light reading. But struggle through it, and the key sentence is this: "The OI and DRO supervisors consider the conduct and performance of the MCSO ... officers to be professional and meeting the requirement of the MOA." Translated, that means officials from the Homeland Security Department's Office of Investigation (OI), along with officials from the Detention and Removal Operations office (DRO), concluded that the Maricopa County Sheriff's Office (MCSO), in its handling of illegal immigrants, acted in a professional manner and complied with a memorandum of agreement (MOA) under which the government gave them the authority to enforce federal law. That agreement included a ban on racial profiling. ICE investigators also interviewed top federal officials involved in illegal immigrant cases in Arizona. They found an "excellent" working relationship between the sheriff's office and the feds. ICE talked as well to federal prosecutors in Phoenix, who described the cases brought by Maricopa County as "high quality." In all, it's a quite positive assessment of an operation that just six months later would come under the Justice Department's microscope for alleged civil rights violations. It also lends indirect support to Arpaio's contention that the Justice Department investigation is politically motivated. Show us the data, Mr. Holder. All of it. Why does the investigation with high marks lead to a new investigation?